Comprehensive photographic identification guide to all 247 species and subspecies of frog found in Australia. High quality photographs from Australia’s top nature photographers are accompanied by detailed species descriptions, which include nomenclature, size, distribution, habits and habitat. The user-friendly introduction covers the geography and climate of Australia, types of habitat, and details of orders and families. 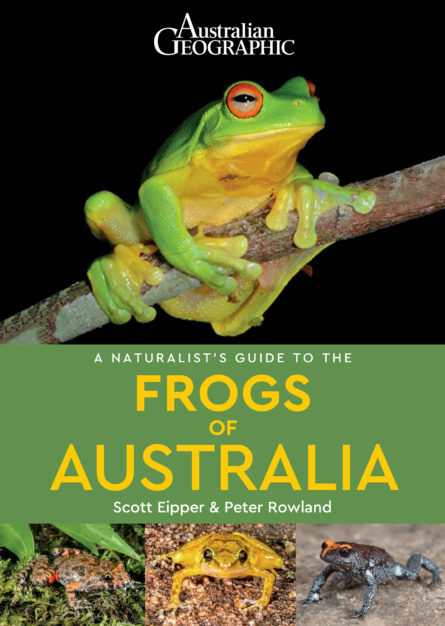 Also included is an all-important checklist of all of the frogs of Australia encompassing, for each species, its common and scientific name, and its global IUCN status as at 2015. Scott Eipper is a herpetological consultant, author and wildlife photographer, who works with his wife Tyese, in their business Nature 4 You. As part of his role Scott conducts wildlife surveys, emergency removals and educational displays. He has written two books, papers and numerous articles on Australian herpetofauna.